The perfect gift for a friend, a table decoration for a party or even a pre-Christmas treat for yourself! 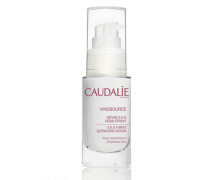 This Caudalie Vinosource Christmas Cracker contains some of Caudalie's best-selling hydration essentials in a handy travel size. Micellar Cleansing Water 30ml - Infused with soothing chamomile and moisturising grape water, this secret French formula works to trap impurities in the skin, sweeping them away in one simple step and leaving skin feeling clean, soothed and ready for the next steps of your routine. Vinosource SOS Thirst Quenching Serum 10ml - This lightweight oil-free serum continuously captures and diffuses water deep within skin to restore moisture balance and leave skin refreshed, hydrated and comfortably soft. Fast absorbing formula. Gentle enough for even the most sensitive skin types. Vinosource Moisturizing Sorbet 15ml - This sensitive skin saviour has an immediate and long-lasting calming and soothing action. Es reaktiviert den hauteigenen Hydratationsmechanismus und füllt Wasserreserven wieder auf. 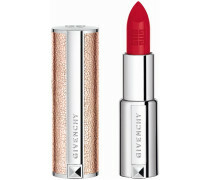 As skin becomes stronger, it feels softer and more comfortable."" Vinosource Moisturizing Sorbet - Quenching and soothing grape water & chamomile extract Micellar Cleansing Water - Soothing chamomile, moisturising & soothing grape water Vinosource SOS Thirst Quenching Serum - Anti-oxidant Grape-seed Polyphenols, Hydrating and soothing Grape Water and Hyaluronic acid.. Lieferkosten : 5.95 EUR.. Am Tag der Bestellung.